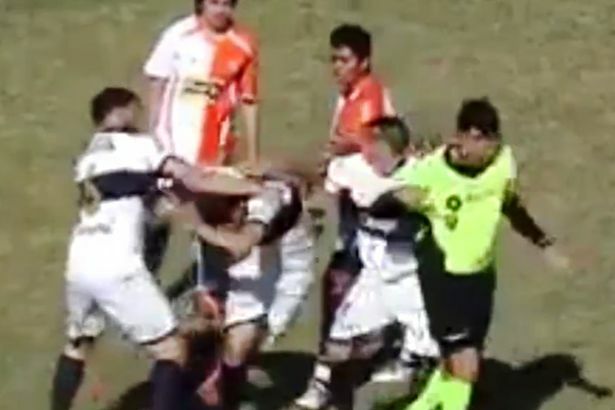 This is the shocking moment a footballer for Atletico Quilmes punches a referee in the face during a lower-league Argentina fixture. 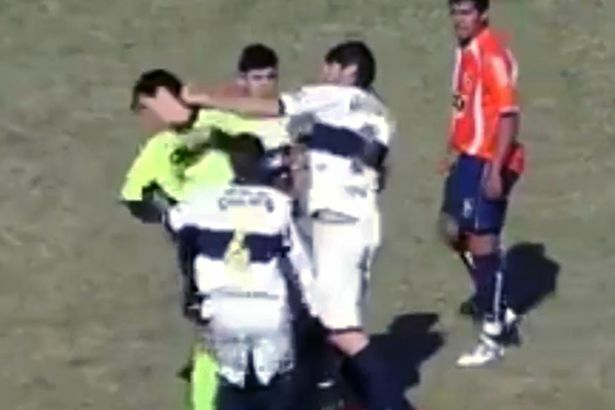 Leonardo Vera, the attacker, reportedly swears at referee Silvio Ruiz mid-game bringing a stop to the play. The match official confronts the defender who then gives him a push. Seeing the referee reach into his pocket, Vera explodes in a fit of rage and punches the Ruiz square in the face. 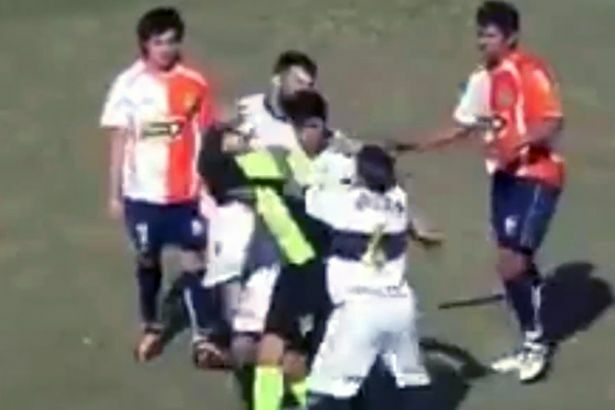 Swinging a further two times, it takes three of Vera's teammates to restrain the outraged footballer. The referee immediately leaves the pitch for treatment while the game is suspended. But Ruiz didn't return and was transferred to a local hospital in an ambulance. As a result, the game was abandoned.